Battery raw materials for consumer electronics (CE) suffers a third consecutive quarterly decline, according to IDC statistics a global market intelligence firm. With CE accounting for more than half of all lithium-ion battery application, CE sales directly affect battery consumption and demand for battery raw materials. The global smartphone market accounts for the largest CE segment, accounting for around half of its market share. Worldwide smartphone shipments of 342 million units in the second quarter of this year was down by 1.8% from 348.2 million units a year earlier. 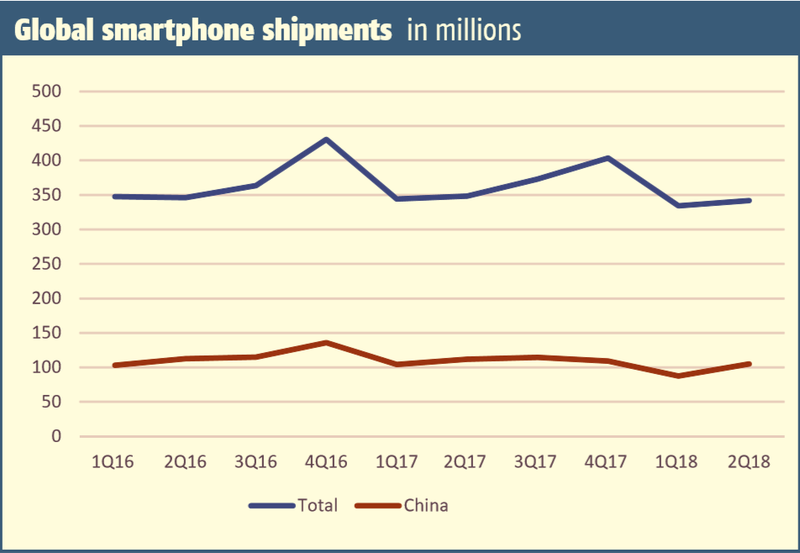 China’s smartphone shipments also fell to 105 million units in the second quarter from 111.8 million units a year earlier while the year on-year fall in the US was more pronounced at 21%. Consumers have extended the usage of their smartphones and reduced the frequency at which they change phones due to slower technical innovation.